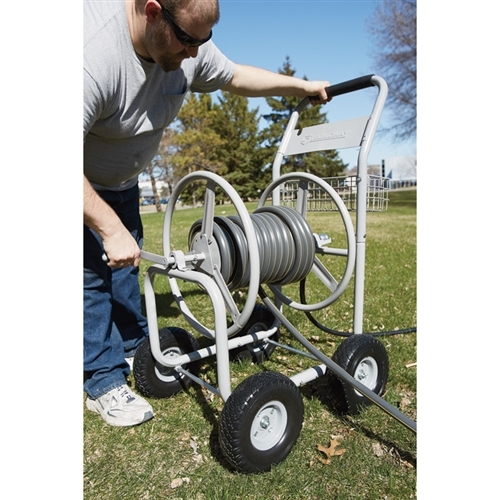 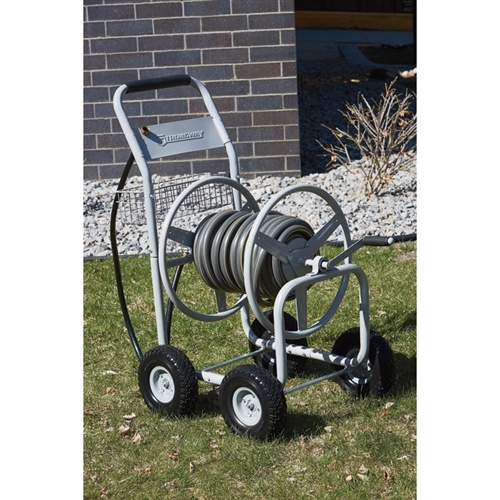 This Strongway Hose Reel wagon is an update on a MyReels.com bestseller. 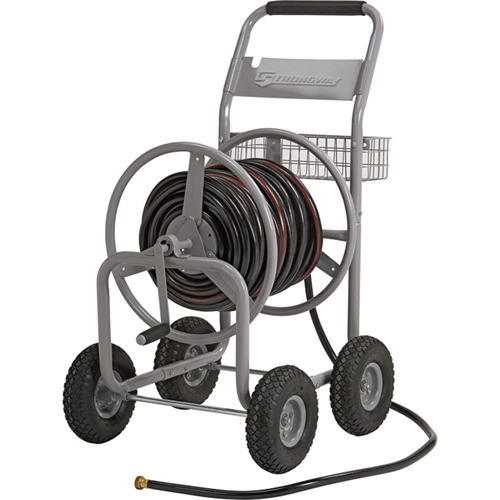 It holds up to 400 feet of 5/8in. 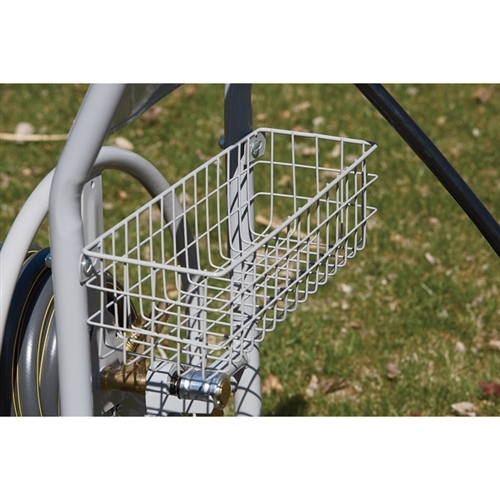 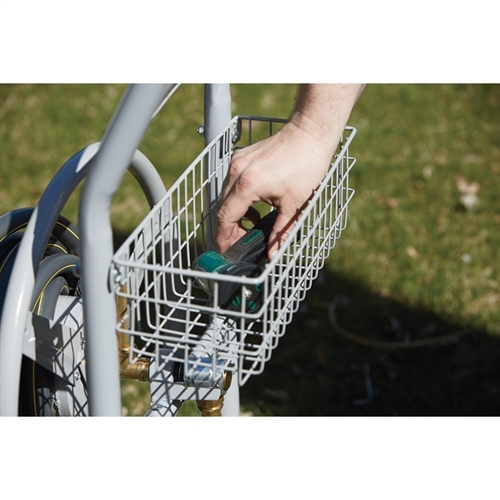 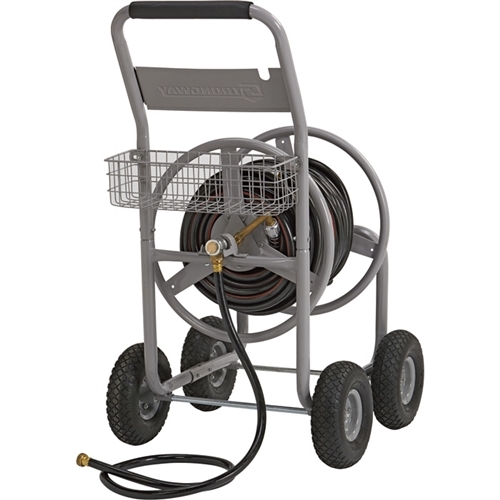 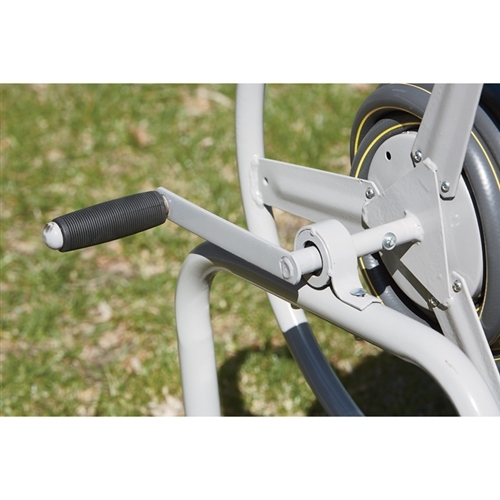 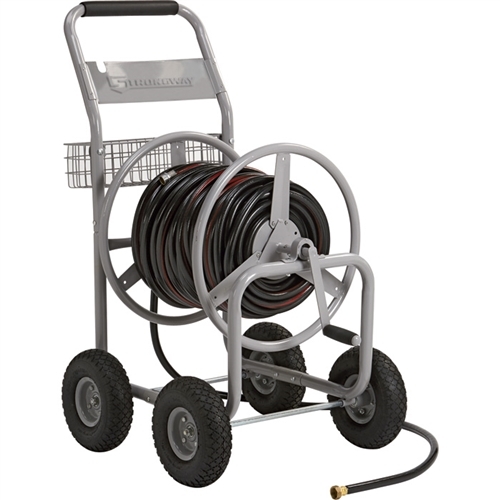 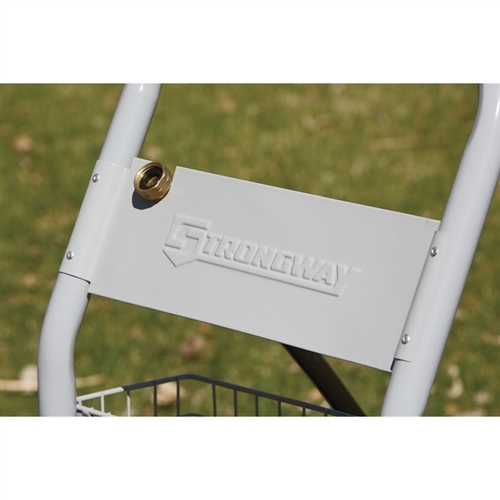 garden hose, and features heavy-duty brass fittings, tubular steel frame and welded handle with swivel grip for easy hose winding and unwinding. 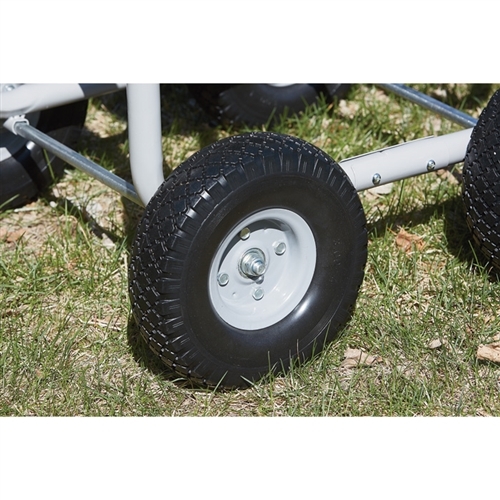 The axles are solid steel and the flat-free, no-inflation tires are designed to handle heavy loads.